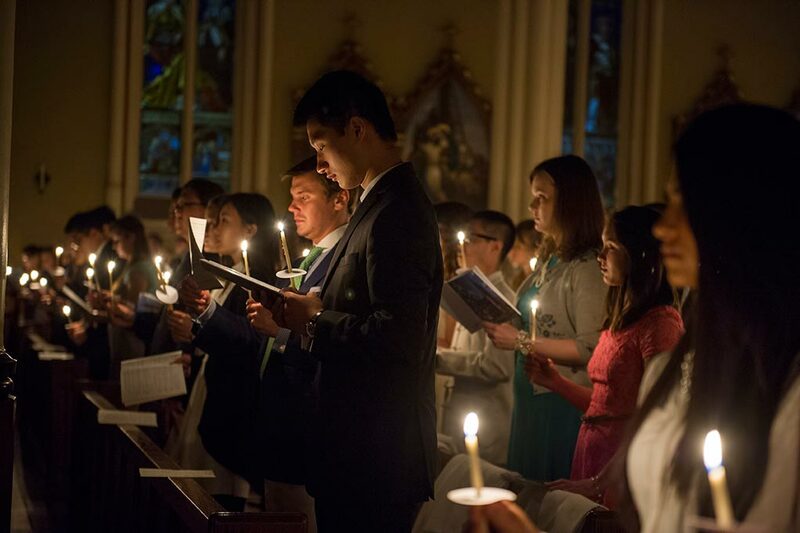 Once again I had the opportunity to photograph the incredibly beautiful Easter Vigil mass presided by Rev. 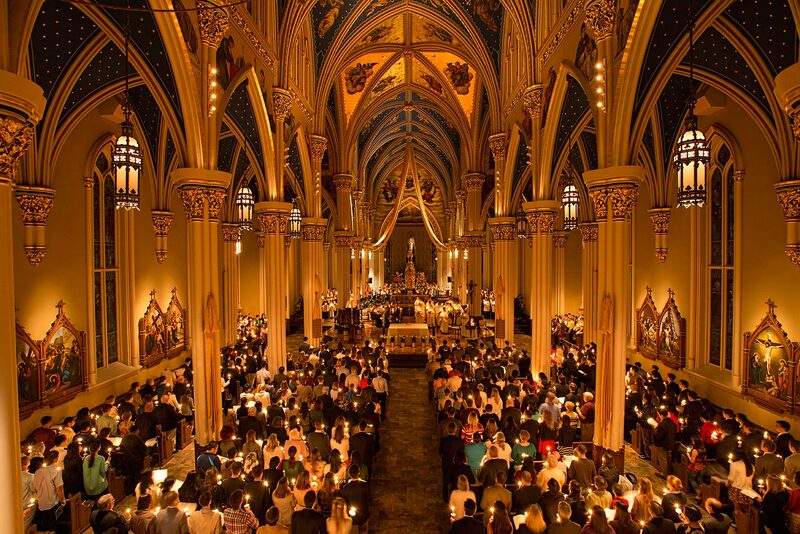 Peter D. Rocca, C.S.C., in the Basilica of the Sacred Heart on Holy Saturday. 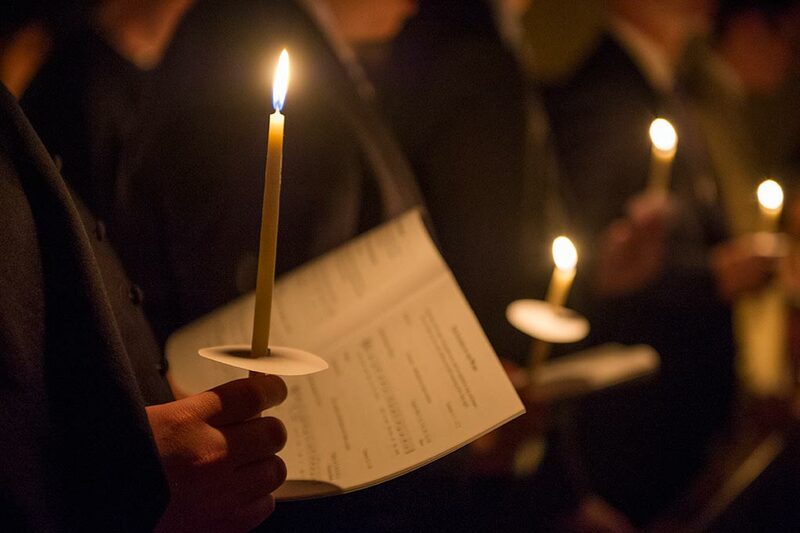 Because I wanted to be sure to capture an over-head view of the Paschal candle-lighting ceremony, I arrived 2 hours before mass to setup a remote camera on the choir loft. To my surprise, there was a long line of worshippers outside the Basilica waiting, some since noon, for the doors to open at 7:30 pm to secure their seats in a pew for the popular mass. One of the perks of being a photographer is not waiting in line for hours for a front row seat. 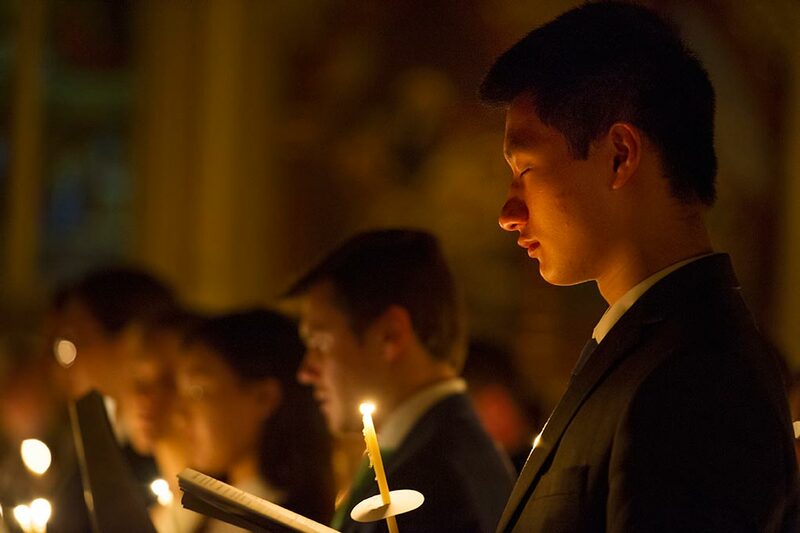 It was an evening filled with spiritual celebration rich in symbolism and tradition, complemented by the incredible Notre Dame Liturgical Choir! 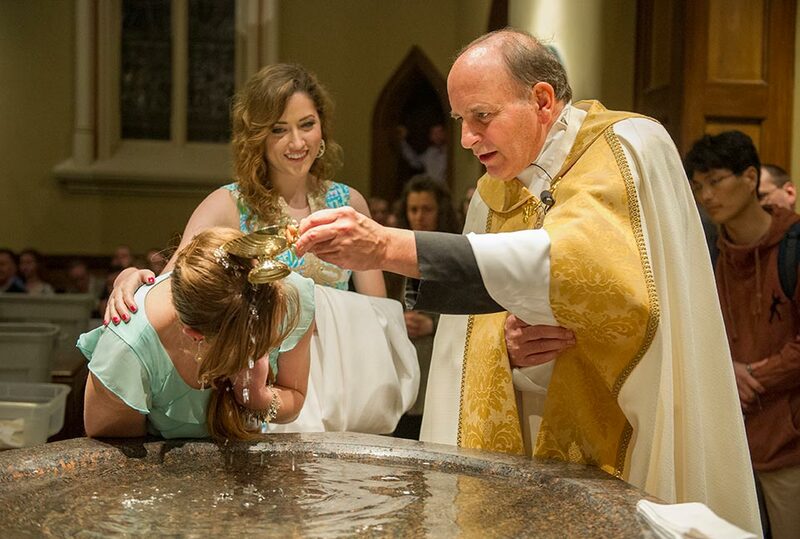 What a magnificent way to ring in Easter. 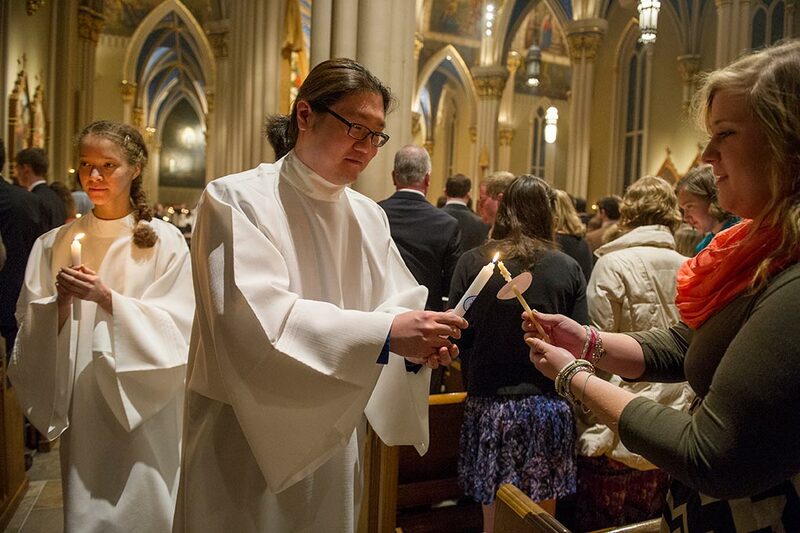 For a complete gallery of the 2014 Easter Vigil Mass click here.